Civil Air Patrol (CAP) is a Congressionally chartered, federally supported non-profit corporation that serves as the official civilian auxiliary of the United States Air Force (USAF). CAP is a volunteer organization with an aviation-minded membership that includes people from all backgrounds, lifestyles, and occupations. 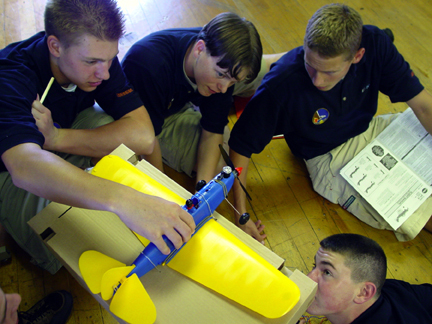 It performs three congressionally assigned key missions: aerospace education for youth and the general public, emergency services, and cadet programs for teenage youth.